Today we’d like to introduce you to Christine Maiwald. Thanks for sharing your story with us Christine. So, let’s start at the beginning and we can move on from there. In May of 2015 at the invitation of a friend, I attended a non-traditional fashion show event created and produced by The Zemba family of Robert Charles Photography located in East Longmeadow, MA. While sitting in the audience, I was wondering what the show was all about. Little did I know at that time, that this evening would be life-changing for me. I watched as high school students of all shapes, sizes, styles, ethnicity, sexual orientation and physical abilities walked the runway, embracing their uniqueness! The show also included a performance by the students that showed the effects of bullying on an individual. As a mom whose eldest child had been bullied many years before, that evening was extremely emotional as it brought back all the painful memories of watching my child turn from a happy, fun-loving kid into a sad, depressed, hurting person. As I looked around the room, I saw tears in the other members of the audience. I realized that I was not the only person who had been affected. I knew at that point that I wanted to be part of the solution to this growing epidemic. After the event, I reached out to the Zemba family to ask how I could become involved. Edward, his wife Susanna and Brother Robert had decided to create Unify Against Bullying as a tax exempt organization. In January, 2016 I and my husband became founding board members with other like-minded business and community leaders. Unify has grown at such an incredible pace it was apparent to the board that we needed an Executive Director. I felt lead to make a change in my career and to follow my lifelong passion of helping others. After a conversation with my husband, Werner, an Investment Advisor and owner of Renaissance Advisory Services, he encouraged me to leave the firm to follow my passion. So, in July, 2017, I became Executive Director for Unify Against Bullying! Needless to say, the last year has been extremely gratifying for me personally. Certainly the change from a profit to non-profit career has been a big learning curve for me. Alright – so let’s talk business. Tell us about Unify Against Bullying – what should we know? Unify Against Bullying’s mission is to end bullying through the celebration of true diversity. We are a charity of hope that seeks to raise awareness to the silence associated with bullying, to help kids from pre-school to high school embrace their uniqueness and to let them know they are not alone but surrounded by a loving, caring community. 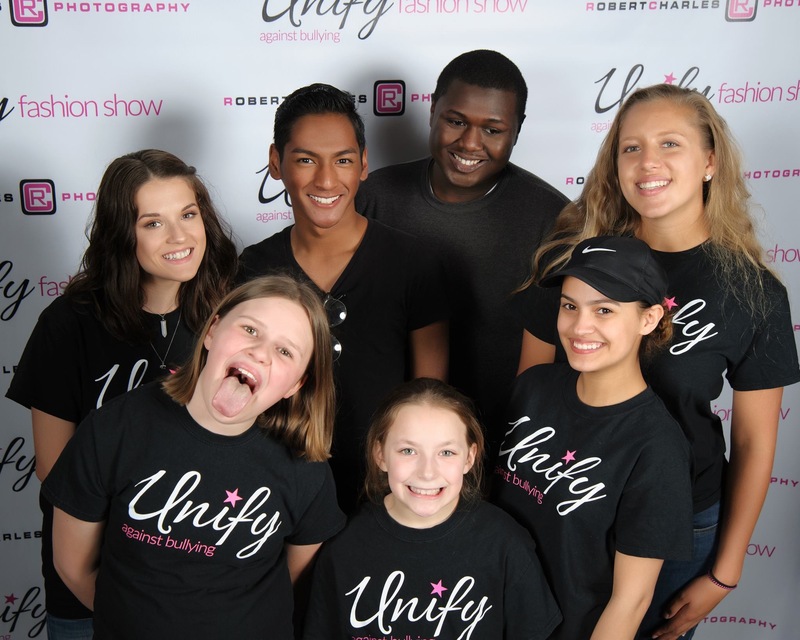 Our organization impacts the lives of tens of thousands of families worldwide with our #unifyselfiechallenge, all-inclusive fashion show, awarding grants to fund anti-bullying initiatives and our student peer presentations. 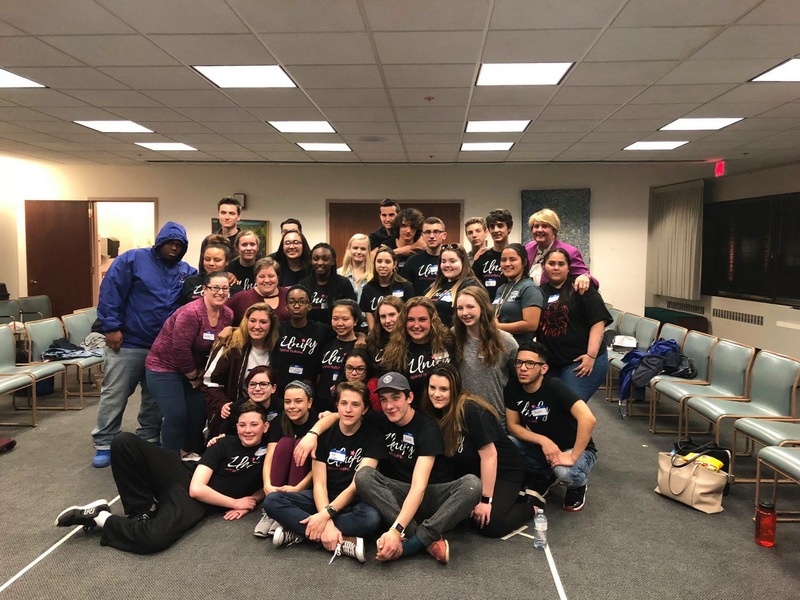 *Unify Selfie Challenge –In 2016, Unify’s student board was asked, “How can we use social media for good instead of negative and so our “Selfie Challenge” was created. It is dedicated to bringing an end to the silence associated with bullying as most kids who are bullied do not report it for a variety of reasons. 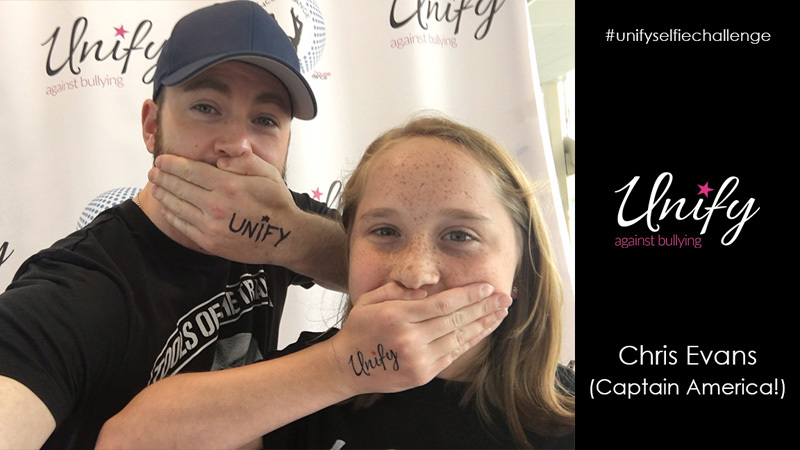 The challenge is to write the word Unify on the back of your hand, place it over your mouth, and take a selfie! When you post on your social media write – I have accepted the #UnifySelfieChallenge! 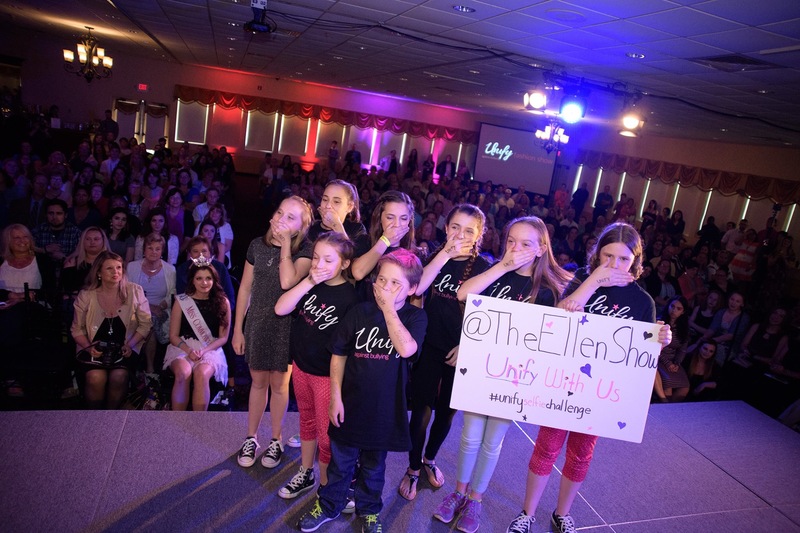 The hand over my mouth represents the silence associated with bullying. The word UNIFY shows that we are all coming together to do something about it! I challenge (TAG 3 OR MORE FRIENDS OR CELEBRITIES HERE) to UNIFY with me!! You have 24 hrs. to repost with your own Unify Selfie and challenge 3 or more to do the same. In 2016, we received Unify Selfies from all 50 states and 56 countries! In 2017/2018 the goal is to get 50 celebrities to participate. 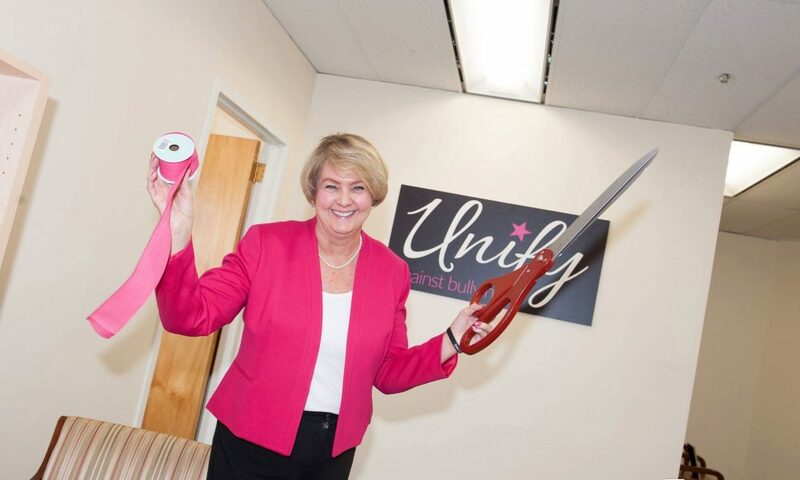 *Grants – Unify raises funds to provide grants for anti-bullying initiatives to those on the front lines of bullying, students, teachers and parents. These grants benefit kids from Pre-school to high school and the community at large. *Peer Presentations -Children are most receptive to ideas which come from older kids they look up to. This is as opposed to well-meaning adults who struggle to connect. Unify’s programs take this into account and pair younger children with those who they most identify with. Of course Edward, Susanna and Robert Zemba, the founders of Unify Against Bullying. I admire their passion to make the world a kinder, more accepting place. My husband Werner, my mentor and partner in life and business who challenges me, ALWAYS cheers me on and supports me in whatever I choose to do. My seven grandchildren and all the kids of Unify who inspire me every day! Unify’s board of directors for their commitment to advance the organizations mission. The generous business and community leaders who help us achieve our goal with their support.